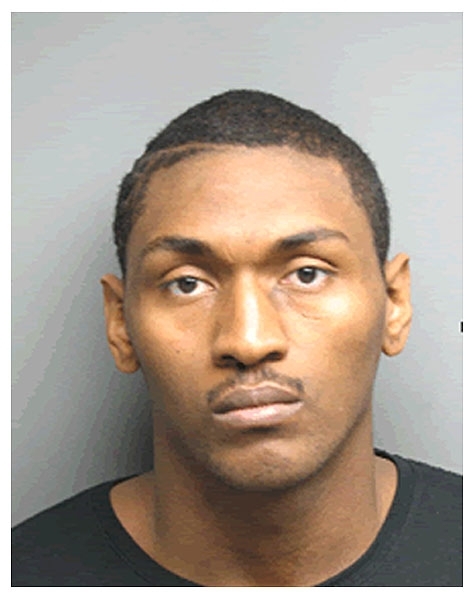 Temperamental NBA star Ron Artest was arrested in March 2007 on a spousal abuse rap after police responded to his California home following a 911 call from the athlete's wife. The Sacramento Kings forward, who was charged with domestic violence and using force to keep a victim from reporting a crime, was booked into the Placer County jail, where the above mug shot was snapped. He was released after posting $50,000 bail. Submitted by greglisi on Wed, 2011-03-23 18:21.